OK, I never thought I would take so long to decide on a garden shed! It’s so complicated and there are so many types of sheds with so many different options! So I thought I would help you out and give you some of my top tips if you’re looking into buying a new garden shed. First off you need to find the space you want your garden shed to be, get the tape measure out and measure the whole space you can fill. You want to find the biggest measurement because you then need to figure out what size shed you do need to fit this space with room around. Our one is going to go where the trampoline is in our garden, sorry kids! What Size Garden Shed Do You Need? Think about how much stuff needs to go in the shed? Your biggest items, and how many of them. Will you have bikes in there? What length are they? Ladders? Lawnmowers? Do you want a workbench for DIY and tools? Start thinking about how much space all of your items will take up. Take a look at a shed website and find some shed measurements. Head back out to your space and measure out the space the shed would take up in your area. Making sure you keep space for you to be able to get to the sides easily enough to be able to maintain the shed. They are not a cheap item and you will want to look after the wood. Whilst looking on the websites have a look at the roof shapes of the sheds. They usually come in an apex roof shape which is your ‘normal shaped’ roof, or barn shaped roofs. But I love the pent style roof as I think this will work nicely in our garden and the position we want it. You need to think about where the door is going and can it open out easily, leaving space for you to get items in and out of. You need to decide if you want to pay the extra money to have the shed made from pressure treated wood. This wood has gone through a special treatment process that fixes chemicals into the wood, offering more protection to the wood and creating a wood that should last longer. 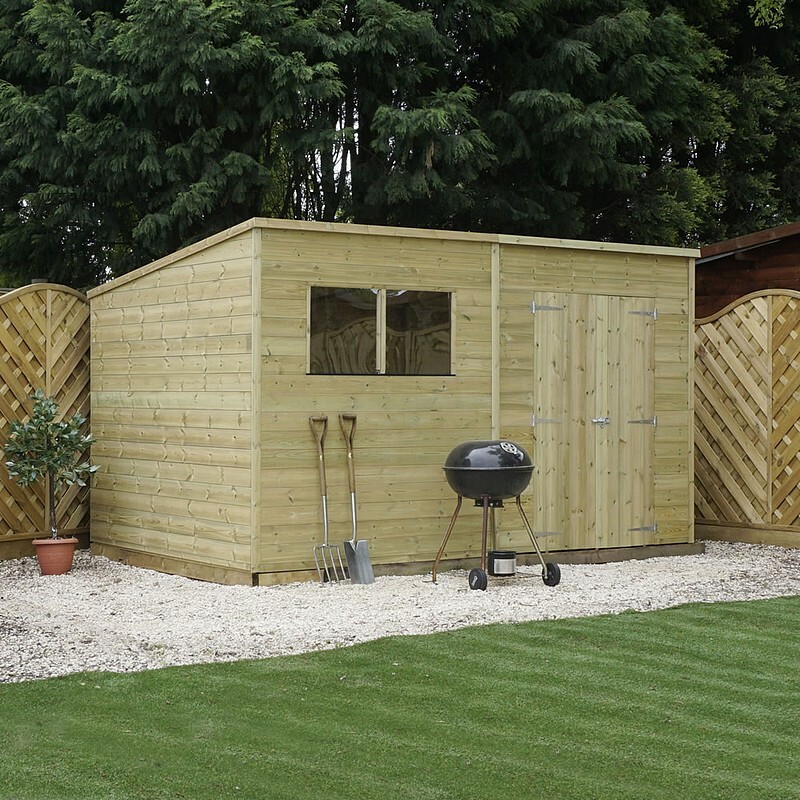 When you’ve found the shed style you like, have a look to see what the company offer as a guarantee. 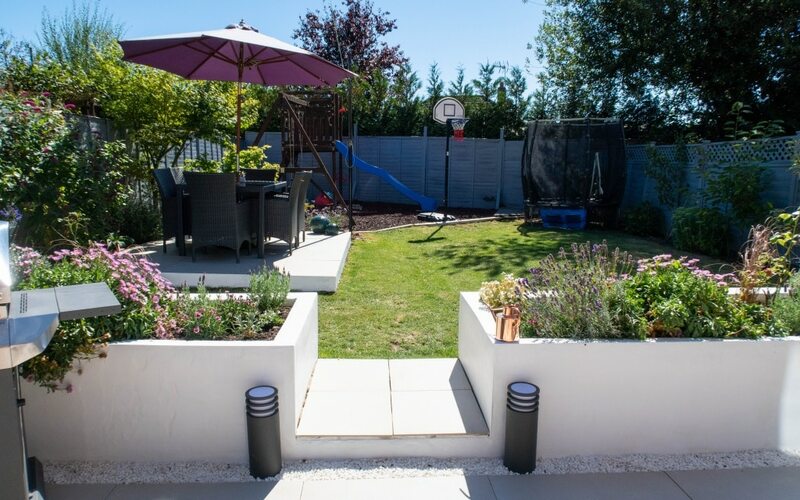 There are a few different cladding options to choose from, Overlap, where each piece of wood just lays over each over, which is the cheapest option and like your standard fencing panels. Tongue and Groove which means the cladding locks together on each piece, this then comes in different depths measured in mm. You can then choose if you want the flooring and roof made from tongue and groove cladding as well. Check what quality roof felting the shed is supplied with, standard felt, mineral felt or heavy duty. You can pay extra to upgrade this, and it is worth investing a little extra into this. Your roof is the first thing that gets hit by rain, so protect it as much as you can. Another option is what type of flooring your shed is supplied with. Depending on what type of things you will be putting in the shed depends on how much weight the floor needs to take. You can pay extra to add a stronger floor to your shed. Do you want windows in your shed? There are options to have windowless, or how many windows you want! Windows let light in, but also be can look in too. This leads me onto this option, will you require electric to the shed? Think about access for this and if you want electric you will need an electrician to install this for you. You need to install a good solid base for the shed to sit on because the wooden structure is will deteriorate much quicker if it doesn’t have a flat area to sit on. Have a look at this guide to show you your options. Keep an eye out your local selling pages to pick up for cheap patio slabs as these are perfect for a shed base. Look at what quality the hardware and locks that are being supplied, I have noticed some flimsy looking metal work on some of the sheds. 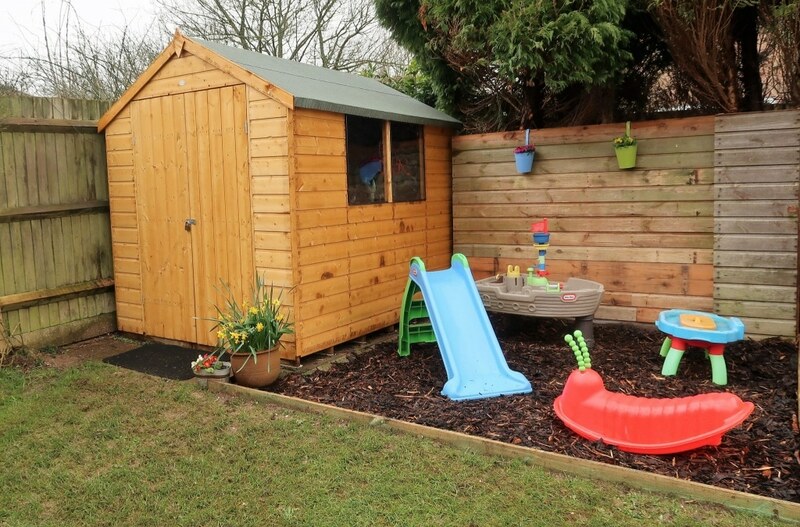 However, you could also purchase these separately and add them when the shed is being built yourself. I found it really varies on what the delivery charges and times are, you don’t want to find a cheaper shed and then find they put a big delivery charge on top. Also keep an eye on delivery times too, some are made to order and have delivery times of 4-6 weeks. Others can be sent out very quickly! Search for reviews on both the sheds and the company, this will give you an idea if people are happy with the quality and delivery service too. So, Which Garden Shed Have I Picked…? After putting all my research together I have finally decided to go for a 12 x 8 Pressure Treated Tongue and Groove Pent Shed from Waltons. We have decided to spend a little extra on this as I plan on having it in our garden for a long time so it will need to withstand a lot of wear and tear. I will share my full review of it once it’s been installed! *I have received a discount on the purchase of my shed but I am only purchasing this shed after lots of consideration of other brands and websites. I had no idea there were so many things to consider when buying a garden shed! I’d love to have a wee shed to retreat to. Nor did I until I started looking for one!! Lots to consider! Although I must admit I do like the look of the one you have chosen. We could really do with getting a new shed and we are currently contemplating a garden room too. Ideally we would want something combined. But our garden needs a lot of work and it’s something we are hoping to tackle this year! I never really thought of all the aspects there are to buying a shed. Where we live we are only allowed a certain sized shed so everyone’s is the same. We were allowed to put the door where we wanted and shel és inside but that was it. My hubby would love a bigger one though. And I love the look of your new shed! Thank you, oh gosh my husband couldn’t cope with a tiny shed and all the things he wants to put in it!